Financial incentives go a long way, but they’re not the only solution to talent retention. A Statistics Canada report on foreign firms operating in Canada points to both crisis and opportunity for the country’s innovation ecosystem. The first Pan-Canadian AI Strategy annual meeting (AICan) convened in Montreal on December 3 to announce its initial cohort of 29 Canada CIFAR Artificial Intelligence (CCAI) Chairs. An international consortium of research funders is moving rapidly to transform academic publishing. Known as Coalition S, the group has approved a plan that requires full and immediate open access to research funded by national and European research councils and funding bodies, beginning January 1, 2020. Canada is not part of the consortium, but it could feel the impact. The gap between universities and industry is fading, but can government programs keep up? Universities and industry have made progress adapting to new realities for entrepreneurship and innovation, but government programs are still catching up. Automotive R&D and innovation is growing in the Toronto-Waterloo technology corridor, despite General Motors Oshawa assembly plant closing. Canada’s National Research Council has partnered with the University of Toronto to launch an innovation hub for the rapidly advancing field of microfluidics, called the Centre for Research and Applications in Fluidic Technologies (CRAFT). Speaking on a panel at the 2018 Canadian Science Policy Conference in Ottawa, Naylor affirmed that the federal government, provinces and territories need to do a better job at coordinating research funding and priorities if Canada wants to make the most of its investments. The Montreal Institute for Learning Algorithms (MILA) and Caisse de dépôt et placement du Québec (la Caisse) have partnered to accelerate development of AI in the region. With backing from la Caisse, MILA is establishing a new Espace CDPQ | Axe IA in a converted 370,000-sq.-ft. factory called O Mile‑Ex Complex in Montreal’s Little Italy, just up the street from the new offices of the large AI-commercialization firm Element AI. The complex will host AI startups from various sectors with projects that reflect MILA’s values. Participating companies are required to bring AI products to market on an accelerated timeline with help from CDPQ | Axe IA and participate actively in the MILA community. Other selection criteria included short, medium, and long-term R&D ambitions, and synergy with Montreal’s AI ecosystem. MILA is one of three institutes that form the core collaboration underpinning the Pan-Canadian AI Strategy. The Calgary Municipal Land Corp (CMLC) and the Faculty of Environmental Design (EVDS) at Univ of Calgary have teamed up to open a collaborative research hub and event space in the city’s former central library branch. The new centre will follow other significant redevelopment in Calgary’s East Village and joins a trend of street-level transformations in the area. EVDS wants the 29,000-sq.-ft. satellite space to serve as a nexus for engaging public discussion and exploring innovations in design, construction, and operational management. The hub will support Univ of Calgary’s strategic priority to create collaborative opportunities for students, researchers and companies to interact in ways that propel research and innovation. EVDS will take occupancy of the building in January of 2019. Suncor Energy in Alberta has joined a CO2 capture and utilization project led by CO2 Solutions Inc., based in Quebec City. The Valorisation Carbone Québec (VCQ) project aims to develop and demonstrate commercially viable, end-to-end solutions to capture and transform carbon dioxide into fuels and bio-products while reducing GHG emissions. The project is supported by $22.5 million in grants from the Quebec government, with monetary investments and/or in-kind contributions from project partners, including Université Laval, France-based Total S.A. and Parachem, a limited partnership jointly owned by Suncor (51%) and Société Investissement Québec (49%). The VCQ demonstration phase will take place at Parachem’s industrial site in Montreal and includes design, construction, installation and operation. In August, CO2 Solutions received a $375,000 contribution from Natural Resources Canada toward reducing cost and improving performance of the company’s carbon capture technology. British Columbia’s tech sector has earned its first “A” grade in economic performance indicators when compared with other Canadian provinces’ tech sectors, in the British Columbia Technology Report Card, published every other year by the BC Tech Association and KPMG. The report card rates the performance of B.C.’s tech sector in provincial and global economies, as well as its potential to grow. Revenues and GDP in B.C.’s tech sector are growing faster than tech sectors in other provinces, according to the report. On sector input indicators, however, B.C.’s tech sector received a “B-,” due to a tech talent shortage and not enough tech companies scaling up beyond the startup stage. Overall, B.C.’s tech sector was awarded a “B” grade versus other provincial tech sectors, up from a “B-” in the previous report. B.C.’s tech accounts for 7% of the provincial economy and is ranked first among the province’s industries in terms of growth. During the last two years, the tech sector’s revenues have increased by 11%. Calgary and Alberta are leading the country in developing and deploying drones, as a strategy to diversify the province’s economy, but the industry says more federal support is needed. Canadian companies’ R&D spending grew 1.3% in 2016 to reach $12.8 billion, according to a report of Top 100 Corporate R&D Spenders by Research Infosource Inc. By comparison, R&D spending increased by 6.9% between 2014 and 2015. Canada’s Ocean Supercluster could galvanize a national strategy to obtain the full economic value of the country’s under-developed ocean resource, says the chief executive of the supercluster. The Canadian Science Policy Centre launched a new networking initiative for politicians and researchers at its annual conference in Ottawa this year, called Science Meets Parliament. The aim of the pilot program is to foster awareness and understanding between lawmakers and scientists, and to cultivate better communication between the two. As Department of Finance Canada conducts an internal review of the SR&ED program, innovation advocates and business consultants say Canada’s largest funding program for incenting R&D by the private sector is “broken” and needs a major overhaul. Prime Minister Justin Trudeau announced last week federal investments for TRIUMF, Canada’s particle accelerator centre, to create a new life sciences facility called the Institute for Advanced Medical Isotopes (IAMI). Of the total $31.8 million required for construction, Ottawa will provide $10.2 million, British Columbia $12.2, TRIUMF $5.4 million, and the BC Cancer Foundation and UBC $2 million each. Situated on TRIUMF’s campus, IAMI will advance research into life-saving medical isotopes and radiopharmaceuticals. The facility will include labs and a TR-24 medical cyclotron, one of the most technologically advanced commercial cyclotrons in the world. Among its many offerings, IAMI will provide a secure supply of important medical isotopes, contribute to next-generation cancer therapies, and accelerate global drug development by producing sought-after isotope-based radiotracers for gauging drug efficacy. The Alberta government’s new Methane Emissions Reduction Program will provide small and medium-sized oil and gas companies with incentives of up to $250,000 per year, per facility for energy-efficiency upgrades to reduce global-warming methane emissions. Administered by Energy Efficiency Alberta, the program is designed for facilities in Alberta that don’t exceed more than 40,000 barrels of oil per day. In the separate Methane Challenge initiative, Emissions Reduction Alberta has invested $40 million in 12 separate R&D projects that are expected to reduce methane emissions by 6.9 megatonnes by 2030, bring $60 million of investment to Alberta and support 60 jobs. The Alberta Energy Regulator is finalizing new methane standards for the oil and gas industry, the province’s largest source of methane emissions. In 2014, the industry accounted for 70% of provincial methane emissions, or 31.3 megatonnes of carbon dioxide equivalents. Alberta’s Climate Leadership Plan includes reducing methane emissions by 45% by 2025. In response to American tariffs on Canadian steel, economic development minister Navdeep Bains announced a $49.9 million Strategic Innovation Fund (SIF) investment to support an undertaking by steel company ArcelorMittal to modernize its facilities. The $205 million project aims to improve efficiency, sustainability, and productivity across its operations. With this investment, ArcelorMittal expects to reduce fuel consumption and lower greenhouse gas emissions by up to 100,000 tonnes per year. The funding will support 4,700 jobs at its facilities in Hamilton, Ontario, where ArcelorMittal is the city’s largest private sector employer, as well as 1,700 jobs in Contrecœur, Quebec. A new report by the Responsible Investment Association (RIA) reveals that Canadians increasingly favour investments that incorporate environmental, social and corporate governance (ESG) criteria. The 2018 Canadian Responsible Investment Trends Report shows that responsible investment (RI) has increased by 41.6% since 2015, accounting for just over half of Canadian assets under management. Responsible investments reached $2.13 trillion as at December 31st, 2017, up from $1.51 trillion two years previously. Survey respondents anticipate moderate to high growth in responsible investing over the next two years. The Cambridge, Ontario-based company exactEarth Ltd. received $7.2 million in federal investment through the Strategic Innovation Fund (SIF). exactEarth uses satellite technology to track ships at sea and to optimize routing for the global shipping industry. The funding will support exactEarth to invest more in R&D and to develop intellectual property that’s made and retained in Canada, as well as to continue collaborating with universities and research institutions in the Marine Environmental Observation, Prediction and Response Network (MEOPAR), a federally-funded Network of Centres of Excellence (NCE). With the help of this investment, exactEarth anticipates creating 67 jobs and plans to become a leader in real-time satellite Automatic Identification System (AIS) services. The University of Ottawa’s Administration Committee has announced the appointment of Guy Levesque as Associate Vice-President, Research Support and Infrastructure, beginning November 19. Mr. Levesque currently serves as Vice-President, Programs and Performance at the Canada Foundation for Innovation (CFI), where he previously held the position of Director of Programs from 2010 to 2015. He has worked as a strategic advisor in academia and also held management roles for the Natural Sciences and Engineering Research Council of Canada. RESEARCH MONEY has made some exciting editorial changes to better serve our readers. In addition to a new managing editor, we now have three senior correspondents in different regions of the country. The federally appointed Economic Strategy Tables (EST) have delivered their final report, which recommends a network of sector-specific Canadian Technology Adoption Centres. The collective report by all six tables contains “six signature initiatives” with the economic potential to add $318 billion or 15% to the GDP by 2030 compared to 2017 levels, and boost median household income by $13,000. Its mission accomplished – with caveats – for Dr Mario Pinto as the president of the Natural Sciences and Engineering Research Council (NSERC) takes his leave from the granting council one year short of his five-year term to return to academia. International science, technology, engineering and mathematics (STEM) conferences are massive annual events that exert huge influence on their sectors. Yet, they are often missing the opportunity to directly address the culture and talent crisis in their fields. Canada’s GDP will grow by billions of dollars if an industry-led supercluster can boost production and exports of innovative plant protein products, says the chair of the initiative. But capturing a substantial share of the $13-billion global market for plant-based proteins will require a lot of collaboration. In a string of recent announcements, the new external science advisory network initiated by Dr. Mona Nemer, Canada’s Chief Science Advisor, has begun taking shape. Amid other fierce disputes leading up to the Quebec election on October 1st, the four main parties convened on September 10 to debate their positions on science, technology and innovation. The question of what role the private sector should play in publicly-funded research animated the debate. The Canadian Institutes of Health Research (CIHR) and the Government of Canada are investing $4 million in a new research network focused on the prevention, control, diagnosis, and treatment of Lyme disease. Operated by Queen’s University, the Pan-Canadian Research Network on Lyme Disease aims to influence health outcomes, practice, programs and policy related to Lyme disease, whose prevalence in Canada is increasing due to climate change. Lyme disease is spread by black-legged ticks, which travel north with warmer temperatures. The disease’s symptoms are notoriously variable, making it difficult to identify and treat. CIHR’s investment in the network is coordinated with the Public Health Agency of Canada and forms part of the federal government’s support of the Pan-Canadian Framework on Clean Growth and Climate Change. Queen’s University Professor of Emergency and Family Medicine Kieran Moore will lead the network. The Government of Canada is investing $25 million in the University of Toronto’s Creative Destruction Lab (CDL), a non-profit project to pair science-based startups with business expertise. The investment comes through the Strategic Innovation Fund, a $1.26 billion federal program to spur innovation in Canada’s industrial and technological sectors, with a focus on large projects that request more than $10 million in contribution. With this investment, CDL will launch a research project using AI tools to help startups that employ emerging technologies. CDL says it “will create and maintain 125 jobs, attract more investments in Canadian businesses, and see more intellectual property developed and retained in Canada.” Through this project, CDL anticipates helping more than 1,300 science-based ventures and estimates that its growing network of companies could create up to 22,000 new jobs. Fanshawe College in London, Ontario, opened its new Centre for Advanced Research and Innovation in Biotechnology (CARIB) on Friday, Oct. 12. The centre comprises more than 13,000 square feet of teaching laboratories for biology, chemistry, instrumentation and physics, as well as an incubator and industry research space with access to a cell culturing facility. Student and faculty research teams will be able to collaborate with local biotechnology partners in the agri-food industry. The centre was built with federal funding of $4 million through the Post-Secondary Institutions Strategic Investment Fund, a $2 billion fund from Budget 2016 that aimed to “enhance and modernize research and commercialization facilities” at colleges and universities across the country. The Government of Ontario contributed $2.2 million for the centre, while Fanshawe provided the remaining $2.8 million for the cost of the project. Bioindustrial Innovation Canada (BIC) has signed a memorandum of understanding with the Italian Technology Cluster of “Green Chemistry” (SPRING), a non-profit association whose members operate in Italy’s bioeconomy sector. The partnership will promote collaborations to research and develop high-tech projects, including technologies that convert biomass and raw materials into bio-based products. Other areas of focus include establishing business relations between their networks and developing technologies that convert sustainable feedstocks into energy and value-added chemicals. The memorandum of understanding leverages free trade agreements with Europe, particularly the Canada–European Union Comprehensive Economic and Trade Agreement (CETA), says A.J. (Sandy) Marshall, Executive Director of BIC. The federal government is providing new funding for angel investments in Ontario. Mary Ng, Federal Minister of Small Business and Export Promotion, made the official announcement on September 26 as she was participating in a panel discussion on angel investments at the National Angel Capital Organization’s World Angel Investment Summit. Up to $1.5 million will be made available through FedDev Ontario’s Investing in Business Innovation program. The funds are intended to help grow Ontario’s angel networks. Recipients include the Windsor Essex Angel Network, the National Angel Capital Organization, the GreenSky President’s Club, Angel Investors Ontario, the Spark Angel Network and SOAN – Southeastern Ontario Angel Network. Venture capital investor John Ruffolo is leaving OMERS Ventures, a fund he founded in 2011 as an arm of the Ontario Municipal Employees Retirement System pension plan. During his tenure as CEO, Ruffolo led the fund to invest in several of Canada’s most successful tech startups in recent years, including Hootsuite and Shopify, and grew the fund’s portfolio to $800 million, making returns that have exceeded performance benchmarks. In his role, Ruffolo convinced other financial institutions to commit money to the fund, among them Bank of Montreal and Sun Life Assurance Co. of Canada. Ruffolo is a co-founder of the Council of Canadian Innovators, along with Jim Balsillie, former Chairman and CEO of Research in Motion. Ruffolo will be replaced by Damian Steel, a managing partner at OMERS Ventures responsible for leading investments in the Technology, Media and Telecommunications (TMT) sectors, who has stated that the fund will remain committed to venture capital. Ruffolo will remain at OMERS Ventures until the end of the year, serving in an advisory role. When it comes to valuing science and sustained support for science policy, Quebec has no Canadian peers. From the creation of a science ministry in 1973 through the glory days of the Conseil de la science et de la technologie (CST) under the leadership of Camille Limoges, Quebec has long taken a leadership role in formulating cogent science policy and translating it into funded programs. That tradition continues to this day. Small Canadian manufacturing companies and technology firms will reap big benefits from the new Advanced Manufacturing Supercluster, says the chief executive leading the initiative. The British Columbia-based Digital Technology Supercluster is on track to launch its initial collaborative public-private sector projects in October, says chief executive Sue Paish, who expects the initiative will change how the world sees Canada. Université Laval in Quebec has obtained funding to build a flagship research centre for its Northern studies institute, the Institut nordique du Québec (INQ). With contributions from the federal ($25.5 million), provincial ($27.5 million), and municipal ($5 million) governments, the university and its partners will commit the remaining funds necessary to complete the $83.5-million building. Scientific integrity is the adherence to professional values and practices when conducting, reporting and applying the results of scientific activities. It ensures objectivity, clarity and reproducibility while providing insulation from bias, fabrication, falsification, plagiarism, political interference, and censorship. On July 31st, the Office of the Chief Science Advisor released a draft copy of a policy developed as a result of a Memorandum of Agreement between the Treasury Board and the Public Service of Canada – “Respect of Scientific Integrity”. Dr Sarah Gallagher has been appointed the first science advisor of the Canadian Space Agency – the first in a proposed network of external science advisors to key departments and agencies across the federal government. The two-year appointment will see Gallagher – an associate professor of physics and astronomy at Western Univ – report directly to CSA president Sylvain Laporte and establish a close working relationship with Dr Mona Nemer, Canada’s chief science advisor and the architect of the external advisory network. A long-awaited report on social innovation and social finance was released last week as input for a national strategy being prepared by the federal government. The number of direct government funding programs in Canada aimed at increasing private sector R&D and innovation has tripled during the last three years, despite a lack of scientific evidence showing such support is effective. The adoption of the latest strategic plan of the Fonds de recherche du Québec (FRQ) has been delayed until the Quebec provincial election slated for October 1. The FRQ, which comprises the three provincial granting agencies for health, nature and technologies and society and culture, completed its strategic plan for 2018-2022 earlier this year after it was approved by the Ministry of the Economy, Science and Innovation and the boards of directors for its three branches. Cabinet approval did not occur in time before it recessed for the provincial election. Quebec chief scientists Dr Rémi Quirion said in a recent message to the scientific community that he’s hopeful the new Cabinet will approve the plan by the end of 2018. FRQ received a 20% boost in the 2017 provincial Budget, increasing its funding by $180 million. The increase brings FRQ’s 2018-19 budget to $214.5 million. On September 11, 2018, Microsoft Canada President Kevin Peesker announced that Microsoft Canada’s headquarters will be moving to a state-of-the-art facility in downtown Toronto’s South Core. The facility, located at 81 Bay Street, will span 132,000 square feet across four floors of CIBC Square, and include new greenspace, amenities, and a Microsoft Technology Centre augmented with learning spaces aimed at Canadian school-aged youth. This represents another major step forward for Toronto, which is already gaining increased recognition as a technological hub on both the national and international scale. It’s also part of Microsoft’s growing investment in Canadian tech, including growing their R&D operations in Vancouver and Montreal, putting $2M towards helping Canadian developers and data scientists update their skills, and contributing $10M towards the Cascadia Innovation Corridor. Members of the Business/Higher Education Roundtable addressed an open letter to Finance Minister Bill Morneau, in which they assert that the best way to prepare Canadian youth for impending changes in the skills economy is through work-integrated learning (WIL) strategies. The letter reminds Morneau that in the 2018 federal budget, he highlighted the need to support “new and innovative approaches to skills development.” While congratulating the Liberal government for investing in initiatives like the Student Work Placement Program, the drafters of the letter contend that the time has come “to make Canada the world leader in WIL.” They recommend several actions, including the creation of a National WIL Strategy and a National Taskforce to implement it. Signatories to the letter include twenty-five heads of organizations representing various industrial sectors, business associations, and post-secondary networks. Among them are John Manley, President and Chief Executive Officer of the Business Council of Canada, and Paul Davidson, President of Universities Canada. Recognizing the rapidly growing cloud computing space in Canada, Santa Monica-based cloud consulting and managed services company, Onica, will be adding Vancouver-based TriNimbus Technologies to its roster. TriNimbus Technologies is a leading DevOps specialist and Canada’s first Premier Consulting Partner in the Amazon Web Services (AWS) Partner Network (APN). This acquisition cements Onica’s relationship with AWS. With the flexibility and scale of AWS, supported by a platform of tooling and automation, Onica helps customers innovate with various cloud-focused solutions including cloud connected devices and serverless application development. In 2015, TriNimbus became the first locally headquartered APN Premier Consulting Partner. Supporting customers to master the cloud, TriNimbus expanded nationwide, with five offices and ten AWS community user groups to expand skills locally. The acquisition makes Onica one of the largest AWS consultancies in North America. The firm plans to continue to invest and hire in Canada. Canada’s Innovation Superclusters Initiative (ISI) is capturing international attention and the imagination of Canadian innovators across the country. I was recently in Europe where I heard of ramped up inquiries to our trade officials about Canada’s innovation programs, especially ISI. The federal government needs to improve assessment of “innovation intermediaries” it funds and better target future funding for business accelerators and incubators, says a study done for the Munk School of Global Affairs & Public Policy at the University of Toronto. The federal government has finally announced the results of last year’s competition for existing Centres of Excellence for Commercialization and Research (CECR), with five returning centres sharing $78.9 million over five years. The successful CECRs were chosen from a field of 25 letters of intent and 10 full applications, all of which were previously or are currently receiving funding through the program. CMC Microsystems is pulling out all the stops to persuade governments and other stakeholders that its expertise and services in microelectronics, photonics and other cutting edge technologies are critical to Canada’s future competitiveness in advanced manufacturing and other key tech-based sectors. New knowledge created through the more than $13B per year in academic research and innovation can be mobilized for the public benefit by transferring intellectual property (IP) to new and existing firms to develop new products and services. Examples include the Canadian-pioneered, world-changing discoveries canola, insulin, cobalt radiation therapy, and the electron microscope. The British Columbia government’s new strategy for securing goods and services is already creating new opportunities for innovative technology companies in the province. The man who wrote Manitoba’s innovation strategy has a new job in the private sector. Doug McCartney sees some novel opportunities emerging for the province’s innovation ecosystem – including a ‘silver lining’ in international trade disputes. The federal government is investing nearly $10.7 million to support new research infrastructure at 11 colleges and polytechnics across Canada.The funding comes from the Canada Foundation for Innovation (CFI) through its College-Industry Innovation Fund. The CFI funding, totaling more than $8.2 million, is for tools and equipment. At Red River College, for example, the CFI is providing more than $1 million for research space dedicated to addressing the growing demand for culinary research from the food and agriculture sector, focusing on consumer issues and industry challenges, such as food waste. The successful institutions will also share in another $2.4 million from CFI’s Infrastructure Operating Fund for operating and maintenance costs. Navdeep Bains, Federal Minister of Innovation, Science and Economic Development (ISED), announced last week that the Government has selected six innovation experts to serve as roundtable discussion leaders for its national consultation on digital and data transformation. The consultation was launched on June 19th, and will be exploring how Canada can simultaneously drive innovation in a data economy, prepare Canadians for the future of work, and protect the privacy and safety of Canadians’ valuable electronic and personal data. The roundtable leaders are: Janie Béïque, Executive Vice-President, Investments, Fonds de solidarité FTQ; Dr Arvind Gupta, professor of computer science at the Univ of Toronto and former president and vice-chancellor of the Univ of British Columbia; Dr Sarah Lubik, Director of Entrepreneurship for Simon Fraser Univ; Carole Piovesan, lawyer with McCarthy Tétrault; Mark Podlasly, founder of Brookmere Management Group; and Dr Ilse Treurnicht, former CEO of MaRS Discovery District. ISED noted that “many of these leaders were part of the Innovation Agenda consultations in 2016”, indicating that the Government is being careful to use known and trusted figures as part of the consultation process. The leaders will be hosting roundtable discussions with regular Canadians – with a particular focus on women, Indigenous peoples and other under-represented groups – in cities cross-country. ISED stated that their “target cities” include Victoria, Vancouver, Calgary, Regina, Winnipeg, Waterloo, Toronto, Ottawa, Montréal, Québec, Fredericton, Charlottetown, Halifax, St. John’s, Whitehorse, Yellowknife and Iqaluit. Those interested in attending in person can contact ic.digitaldataconsultations-consultationsnumeriquesdonnees.ic@canada.ca. For Canadians who wish to participate online, they can go to the National Digital and Data Consultation website at https://www.ic.gc.ca/eic/site/084.nsf/eng/home. Canada is bolstering its reputation as a global innovator in carbon capture, utilization and storage (CCUS), with new research and technology development facilities in Western Canada attracting international participation. Nobina Robinson retires from her position of Chief Executive Officer at Polytechnics Canada this month after nine years in that role. In those years, Robinson has been recognized by her colleagues for bringing attention to the important role polytechnics and colleges play in Canada’s innovation ecosystem, particularly applied research and commercialization. She shares her thoughts with RE$EARCH MONEY about the legacy she leaves behind and what’s next for the sector. Last year’s Barton panel report on the agri-food sector continues to resonate with additional consultation and analysis of its recommended policies and actions aimed at sustainably boosting exports to $75 billion by 2025. Vancouver-based Centre for Drug Research and Development (CDRD) is an 11-year-old organization that helps “bridge” scientific discoveries and commercialization in the life sciences sector. RE$EARCH MONEY spoke to CDRD president and CEO Gordon C. McCauley about how it is helping companies scale up and its strategy for attracting capital in a sector that is growing exponentially but is perceived to be risky. The federal government is backing five large venture capital (VC) fund of funds (FoF) to boost the much-needed late-stage capital available to Canadian tech firms. The Beef Cattle Research Council (BCRC) will receive investments of up to $21.6 million to enhance the sustainability of Canadian beef and forage production, increase beef exports and ensure continuous global supply of Canadian beef. Of this amount, $14 million will come from the federal government’s Canadian Agricultural Partnership, AgriScience Clusters program and the balance of $7.6 million will be shouldered by BCRC. The amount will be used to fund the Sustainable Beef and Forage Science Cluster. The BCRC is a division of the Canadian Cattlemen’s Association (CCA). Previously, the Beef cluster received funding under two earlier policy arrangements that included research on genetics, feed efficiency, and forages and animal health. These two initial frameworks have been credited for helping create a more competitive yet consistently profitable beef sector. The sector contributed $9 billion in farm cash receipts in 2017. Beef and cattle exports reached almost $2.41 billion in the same year. In terms of headcount, 11.52 million cattle and calves on roughly 74,000 farms and ranches in Canada were recorded in 2017. The Egg Farmers of Ontario will receive $844,000 for a project that can help find ways to cut production wastage and address animal welfare issues. Supported by the Canadian Agricultural Adaptation Program (CAAP), the first-of-a-kind research project is expected to encourage the adoption of imaging technology that enables eggs to be scanned non-invasively to identify gender and determine fertility soon after they are laid. The technology is touted to increase the output and efficiencies of hatcheries while promoting humane approaches in egg farming. In the long-run, project proponents envision tapping new technology and processes that will have multiplier effects on the entire egg supply chain at the domestic and global levels. The critical role of the Canadian egg industry could be inferred from its $1 billion annual contribution to the economy and its employment of 17,000 workers. CAAP is a federal funding initiative to help farmers remain competitive with pilot projects that address industry challenges. The federal government has announced $1.4 million in financial assistance to Les Cuisines Gaspésiennes Ltd and the Fonds d’innovation et de développement économique local de La Matanie (FIDEL) to help the Quebec regional economy remain competitive. Les Cuisines Gaspésiennes of Matane, QC will receive $1.2 million in repayable contributions to upgrade its production capacity through automation and computerization. FIDEL, an industry fund for local entrepreneurs, is getting $200,000 in a non-repayable contribution to be able to conduct a feasibility study for the implementation of a gas pipeline network in Matane’s industrial park. The assistance is made possible through Canada Economic Development for Quebec Regions (CED). Dr Michael J. Strong has been appointed the new president of the Canadian Institutes of Health Research (CIHR) effective October 1. The appointment concludes a period of nearly one and a half years since the departure of Dr Alain Beaudet, during which time the granting council has headed by Dr Roderick McInnes. McInnes has been serving in an acting capacity and will stay on until the end of June. He will then be replaced by Michel Perron, executive VP of CIHR who will serve until the fall and Strong’s arrival. Strong is internationally recognized for his work in the neurodegenerative disease amyotrophic lateral sclerosis (ALS), also known as Lou Gehrig’s disease. Since 2010, Strong has been dean of Western’s Schulich School of Medicine & Dentistry and holds the Arthur J. Hudson Chair in ALS Research. In 2009, he was awarded the status of Distinguished University Professor. His research focuses on understanding the cellular biology of ALS. In the last few weeks, Canada has been in the global spotlight with its focus on science, technology and innovation (STI). Canada hosted the G7 leaders summit this year where two of the five themes were related to STI. Ontario’s Progressive Conservatives (PCs) are set to govern come June 29, but it remains to be seen what the new leadership will mean to science, technology and innovation in the province. The CATALIS Quebec Clinical Trials initiative has announced new public partners and industry funding as it moves closer to its goal of doubling private sector investment in the province’s early stage clinical trials (ESCT) and providing patients early access to innovative healthcare. The potential payoff of the Liberal government’s bold initiative for tapping industry expertise to provide input on six key tech sectors will be known soon as the six Economic Strategy Tables (EST) prepare their final reports for submission. Research Canada, an alliance of stakeholders in health research, recently briefed Parliament about the potential benefits of applying artificial intelligence and machine learning in healthcare. A large number of policy statements and reports on innovation have been published by the federal government over the last 20 years. These studies all reached the same conclusion – Canadians are exceptional at generating new ideas but very poor at converting these ideas into economically beneficial activities. The Bank of Canada will team up with the Creative Destruction Lab (CDL) to learn more about emerging technologies and their applications in financial services. In line with its 2019–2021 Medium-Term Plan, the Bank forged the partnership to keep abreast of developments in artificial intelligence, machine learning, crypto currencies and quantum computing. The partnership with CDL, Univ of Toronto’s start-up program, will also help the Canadian central bank learn how the new technologies can strengthen innovation in their own operations, and help in their research and analysis. The Bank plans to deepen its learning by inviting experts to share their knowledge with Bank staff. Over a three-year period, the Bank, as an AI stream partner, will work with CDL-Toronto and CDL-Montreal. Science minister Kirsty Duncan met with members of the Canada Research Coordinating Committee (CRCC) this June to outline her expectations for the committee created in fall 2017 to harmonize research initiatives among federal granting agencies. Duncan’s office said the meeting was held in Ottawa where she made clear her expectations of the CRCC, how it is engaging with the research community, ongoing collaboration and operating in an open, transparent and collaborative manner. Ginette Petitpas Taylor, minister of Health, also weighed in on the CRCC’s ongoing work. Taylor and Duncan penned an open letter to CRCC outlining their mandate. In light of Duncan’s recent meeting with the CRCC, Taylor said she is expecting the committee to bring about transformative and lasting change to empower Canada’s researchers to fulfill their ambitions. Aside from coordinating research, the CRCC is also mandated to improve equity, diversity and inclusion in the research community, and work with Indigenous communities to develop interdisciplinary Indigenous research. The committee is composed of the heads of the three granting agencies who will head the CRCC on a rotating basis, starting with the president of the Social Sciences and Humanities Research Council. The committee also includes the heads of Canada Foundation for Innovation, National Research Council, the Chief Science Advisor, and the DMs of Health Canada, and Innovation, Science and Economic Development. Last May, the CRCC chair outlined the committee’s progress in an interview with RE$EARCH MONEY. Clortech Tools, a small and mid-sized family-owned company in Quebec, has received a total of $812,500 from the federal and provincial governments to add to their project investment to acquire equipment that will increase their production capacity. A repayable contribution of $250,000 will come from the Canada Economic Development for Quebec Regions. The Quebec government will provide $562,500 in loans from its ESSOR program and from Investissement Québec. These funds, which boosted project investment to $1.3 million, are intended to help the innovative manufacturing sector. The funds are to acquire eight-axis numerically controlled grinding machine to serve Clortech’s clientele in the aerospace, marine, military, automobile and pharmaceutical sectors. Among its clients are Bombardier and Pratt & Whitney. Samsung Research America (SRA) will establish an AI centre in Toronto’s downtown core at MaRS Discovery District. The AI centre seeks to hasten the adoption of AI using machine-learning technology on multiple devices — ranging from household gadgets and appliances to vehicles — with the goal of reducing friction between the user and the device. The Toronto AI centre joins a network of similar centres also announced recently in the UK and Russia. It is the second AI centre to be established in North America, the other one being in Mountain View, California. The Toronto team will work in partnership with the company’s Silicon Valley team. Dr Sven Dickinson, computer vision technologies expert and past chair of the Department of Computer Science at the Univ of Toronto, will head the Toronto centre. He is expected to play an important part in Samsung’s research on core AI technologies that entail language, vision and other multi-modal interactions. A key factor in choosing Southern Ontario to host the AI centre is the availability of talent, particularly AI researchers at the Univ of Toronto and Univ of Waterloo, which both have longstanding relationships with Samsung. Other considerations by Samsung for its location at MaRS Discovery District are stronger collaboration with regional start-ups and enlargement of the present ecosystem, and the encouraging environment by the MaRS community itself of cross-disciplinary collaboration ending in breakthrough discoveries and solutions. The provincial government of British Columbia is investing more than $125.1 million in the next three years to support its technology and innovation sectors, primarily through talent development for research, entrepreneurship and job opportunities. The biggest investment — at $102.6 million through the BC Knowledge Development Fund (BCKDF) — will support 75 post-secondary research projects. The fund helps build up the talent pool through state-of-the-art research equipment and infrastructure. The province is also allotting $12 million for graduate scholarships in science, tech, engineering and mathematics (STEM) for the next three years. This fund also helps support Indigenous students and regional programs. There’s also $10.5 million for co-op and entrepreneurship training for post-secondary students. Aside from providing funds, BC is also expanding its Provincial Nominee Program Tech Pilot, which seeks to attract top international talent by allowing for priority processing of applications for jobs such as biotechnologists, software engineers and web developers. BC’s investments are also encouraging women to get into STEM. The province said it would invest in women-in-technology scholarships but did not specify any financial commitments for this initiative. In boosting support for the technology sector, BC Premier John Horgan noted in his announcement that the sector has over 10,000 companies that employ more than 106,000 people. The BC government said it will unveil a province-wide tech strategy next year. The federal government is putting in $7.6 million to support a $19-million project that will help design and develop training and simulation products for use in aerospace and defence. The repayable investment being made through the Strategic Innovation Fund will be provided to Bluedrop Performance Learning Inc., a company that provides simulation technology, simulators and training programs to these sectors. The funds will help the company incorporate gaming and mobile technologies, such as virtual reality and augmented reality, to improve the use of artificial intelligence in its products. The government support will create or maintain more than 200 jobs, and help improve cost-effective training systems for the safety of air and marine crews. Bluedrop Training and Simulation Inc., a division of Bluedrop Performance Learning, was founded in 2012 and is based in St. John’s, Newfoundland and Labrador, but the project will be based at its location in Halifax, Nova Scotia. 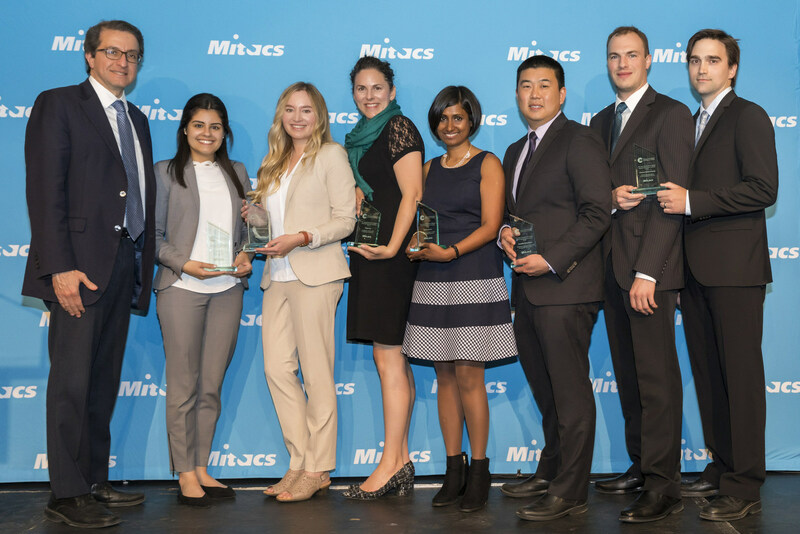 Mitacs recently recognized seven researchers and alumni who have become entrepreneurs. Each awardee of the 2018 Mitacs Entrepreneur Awards is either a former Mitacs intern, postdoctoral fellow or training participant. They will each receive $25,000 for their groundbreaking industry contributions. The awardees are environmental entrepreneurs Maxim Bergeron and Mathieu Kirouac, co-founders of Quebec City-based Glacies Technologies; outstanding entrepreneur Calvin Cheng, co-founder of Edgehog; social entrepreneur Erin Goldberg, co-founder of Winnipeg-based ViTal Functional Foods; global impact entrepreneur Alli Murugesan, founder of Saint John-based BioHuntress Therapeutics; change agent entrepreneur Roger Mah, co-founder of Calgary-based ZoraMat Solutions; and honourable mention Ghalia Baki, co-founder of Lumbrick. 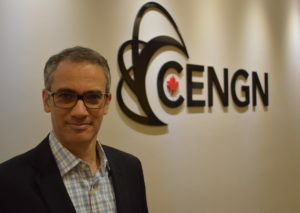 The Centre of Excellence in Next Generation Networks (CENGN), an industry-led consortium helping accelerate the commercialization of next generation communications solutions, announced the appointment of a new CEO, Jean-Charles (JC) Fahmy, effective June 4. Fahmy is an alumnus of McGill Univ (MBA) and Univ of Ottawa (BASc in Electrical Engineering). He has more than 20 years of industry experience, most recently as VP for product management and business development at Coriant, an independent telecommunications company doing networking solutions. He has also held senior leadership positions in other telecommunications companies and private equity, including Nortel Networks, BTI Systems and Marlin Equity Partners. The CENGN consortium includes big telecommunications and networking companies, academic institutions and researchers working with small and mid-sized firms. It is a federally funded Centre of Excellence for Commercialization and Research (CECR). It also gets support from the Ontario Centres of Excellence (OCE). As CENGN CEO, Fahmy is tasked to manage the day-to-day operations of the not-for-profit, and lead and direct a team of over 30 engineering, technical, and professional staff. He also acts as the chief ambassador who engages with stakeholders, the R&D ecosystem, and the information and communication technology sector. Policy-making in the public sphere is not for everyone. It’s simply not easy to please everybody, especially if there are voters’ opinions to consider. At the end of the day, however, a decision has to be made, favourable or not to the constituents. Emulating the Fraunhofer Society’s network of Technology Innovation Centres (TICs) will assist Ontario companies with improving their commercialization and innovation outcomes, argues the latest working paper by the Institute for Competitiveness and Prosperity (IC&P). Integrated design and technology firm IBI Group is setting up a smart city sandbox based at its Toronto headquarters to leverage its services and expertise around emerging technologies, such as 5G, robotics, artificial intelligence and blockchain. Canada’s hosting of this year’s G7 Summit is being preceded by an unprecedented series of research summits that examine the potential and impacts of digital technologies and sustainable oceans. The summits – organized by the Royal Society of Canada (RSC) – are intended to inform discussion at the main event in Charlevoix, QC on June 8-9. The Department of National Defence (DND) has launched its first call for proposals for a new innovation procurement program geared towards leveraging ideas and expertise outside its own network of laboratories. Pfizer Canada has contributed $800,000 to MaRS Innovation to support new ideas or technologies in health sciences research in areas of therapeutics, diagnostic and treatment tools, and manufacturing technologies. The MaRS Innovation – Pfizer Translational Research Fund will be managed by MaRS Innovation. Priority projects are in cardiovascular disease, inflammation, immunology, rare diseases, vaccines, and oncology. Through this partnership, Pfizer Canada is boosting its support to health innovation and research in Ontario. John Helou, president of Pfizer Canada, described this as an example of pharmaceutical investment in Canada’s innovation ecosystem that is not currently captured in the Scientific Research and Experimental Development (SR&ED) program. Despite this, Helou said the company’s commitment is aligned with the new Ontario government action plan to develop the province’s life sciences industry. Pfizer’s approach to fulfill this commitment is to collaborate with academic scientists, patient foundations, governments, biopharmaceutical companies, healthcare professionals, and organizations such as MaRS Innovation, which is a provider of commercialization services and early-stage funding. Sanofi Pasteur Limited will receive up to $70 million to help construct the 150,000-square-foot Bulk Biologics Facility at the Connaught Campus in Toronto. The governments of Canada and Ontario contributed the amount to help establish the $500-million vaccine-manufacturing facility. Through the Advanced Manufacturing Fund, FedDev Ontario contributed $20 million, which is a repayable contribution. For its part, the Government of Ontario is investing $50 million through the Jobs and Prosperity Fund. Considered as one of the most advanced of its kind in the world, the facility is expected to double the production of Sanofi Pasteur’s life-saving vaccines by 2023, which is the target year of operation. The initiative will also launch the Canadian-researched and -developed pertussis or whooping cough vaccine into more than 30 new global markets. An estimated 1,250 jobs will be created or maintained through this project. Sanofi Pasteur is the vaccines division of Sanofi, which invested $130 million into R&D in Canada in 2016, and whose entities employ close to 1,900 people. Borealis AI will establish a computer vision research centre in Vancouver by fall. Borealis AI, an RBC Institute for Research, will develop a machine learning subfield that trains computers to see, process and understand the visual world even as computer vision is new to the financial services industry. Professor Greg Mori, computing science director of Simon Fraser Univ, will be the lab’s research director. An internationally recognized expert in computer vision, Mori will be joined by Univ of British Columbia professor Leonid Sigal who will work as academic advisor. While at Borealis AI, Mori and Sigal will continue teaching in their universities. Mori’s research includes semantic segmentation or a series of machine learning techniques that seek to label every object in a natural image down to the pixel level. Sigal’s research focuses on the challenges of visual understanding and reasoning. By providing a varied landscape and focusing on green living, Vancouver is also viewed as an ideal location for Borealis AI to expand its research to environmental science. Borealis AI was established by RBC in 2016 and has other labs in Toronto/Waterloo, Edmonton and Montreal. The Discovery 2018 Conference wrapped up in Toronto, ON last May 1. The annual event organized by the Ontario Centres for Excellence (OCE) brought together technologists, innovators, entrepreneurs and enthusiasts from all over the world. Over 500 exhibitors and 3,000 participants attended the two-day event, which showcased Ontario as a hotbed of innovation and excellence.Featured at the conference this year were some of the latest developments in robotics, aerospace, autonomous vehicles and advanced mobility, as well as advanced applications in healthcare, clean-tech, wearable technology, artificial intelligence and augmented/virtual reality (AR/VR).The keynote speakers were global media sensation Sophia, a humanoid robot, and her creator, Dr David Hanson, who appeared via hologram, and Megan Smith, former chief technology officer of the United States who served under former President Barrack Obama. Sophia is the first robot to be granted “citizenship,” and in her first visit to Canada, she spoke about the need for collaboration between humans and machines to create a prosperous future for all and to allay the unfounded fears of a robot rebellion. Megan Smith shared her thoughts about how new developments in digital infrastructure such as 5G, AI and other technologies were allowing people to improve their quality of life. Cisco Canada is providing Humber College with $4 million in equipment and infrastructure to allow faculty, students and industry to work together on projects related to cyber, network communication and collaborative digital technologies. The partnership that’s good for over five years will support Humber’s applied research network and activities. The audio-visuals systems using Cisco Webex technology will be installed throughout the Barrett Centre for Technology Innovation (CTI) at Humber’s North Etobicoke campus. The Cisco Digital Transformation Zone, through the CTI, will showcase how the integration of automation and data exchange into manufacturing technologies can enhance operations of small and medium-sized enterprises. For its part, Humber will demonstrate at the Cisco Innovation Centre in downtown Toronto the influence of technology on the education and training approaches of the community college. Chris Whitaker, president of Humber, describes the collaboration as an example of how the polytechnic education model links industry with faculty and students in utilizing emerging technologies to address business challenges. Aside from technological support, Cisco will offer internships and post-graduation employment opportunities for Humber students, and $50,000 in scholarships. More than $7.6 million has been announced to support the development and validation testing of 53 new innovations seeking to help dementia patients and their caregivers, the Centre for Aging + Brain Health Innovation (CABHI) announced recently. Part of the funding is for a localized area alert system for missing persons with dementia, assessment of the use of smart-home technologies to support caregivers and older adults at home with dementia, and an augmentative and alternative communication system designed to replace spoken communication for non-verbal individuals. Led by Baycrest Health Sciences, CABHI has supported the acceleration of healthcare and technology-based innovations by point-of-care staff, researchers and companies. The projects got support from CABHI’s programs, including the Spark Program, the Industry Innovation Partnership Program, and the Researcher-Clinician Partnership Program. CABHI emerged out of the largest investment in brain health and aging in Canadian history. Formed in 2015, it is a collaboration of health care, science, industry, not-for-profit and government partners whose aim is to help improve quality of life for the world’s aging population. The home of CABHI is the Univ of Toronto-affiliated Baycrest, which is globally recognized in geriatric residential living, healthcare, research, innovation and education. Sarah Watts-Rynard is the next CEO of Polytechnics Canada effective July 30, 2018. She will succeed Nobina Robinson who is retiring after nine years of service. Currently serving as executive director of the Canadian Apprenticeship Forum (CAF), Watts-Rynard has been credited for increasing public appreciation of the skilled trades in Canada and for engaging with education and industry partners to make CAF the premier research body for apprenticeship. Polytechnics Canada expects that her experience in communications and research will help its members raise awareness of the socioeconomic benefits of applied, advanced education. Watts-Rynard views Canadian post-secondary education as more than just a choice between college or university and stresses that polytechnic education blends classroom and work-integrated learning in a way that suits labour market demands. She sees Polytechnics Canada as a voice for the polytechnic system, ensuring that levels of government and the Canadian public are made aware of the significant role Canada’s polytechnics play for the economy and learners. Canadian science and technology and industrial R&D are faced with a growing risk of becoming branch plants of research, innovation and competitiveness for other countries. While not new, this conclusion reached by an expert panel tasked to examine the issue that says the severity and urgency of the situation are increasing due to rapidly evolving global trends, the “start and sell” mentality of many tech entrepreneurs and the ecosystem damage inflicted between 2006 and 2015. ‘Reimagination’ is very much in the news today (not to be confused with the imagineers at Walt Disney Imagineering R&D subsidiary). We saw the word trotted out in the 2018 federal Budget on how the 101-year-old National Research Council (NRC) was going to form a new conception of itself — not that it hasn’t been reimagined several times before. Alberta’s NDP government tabled its 2018 Budget on March 22 by reiterating a long-standing objective of diversifying its economy, both in its traditional strengths in energy and in emerging sectors, including life sciences, clean technology and health innovation. An aerospace consortium led by Québec-based Bell Helicopter Textron Canada Ltd. is receiving $49.5 million from the federal government to develop innovative technologies for integration into next-generation helicopters. Support was provided through the Strategic Innovation Fund. With fully autonomous aerial systems, the innovative helicopters will be designed to fly either with or without crew on board. Other planned innovations will relate to energy efficiency, environmental sustainability and noise pollution reduction. The project is touted to generate or maintain more than 300 Canadian jobs, gain unprecedented sizable grounds in international markets and pour in $178 million to Canada’s GDP in the next five years. Among the 18 industry and academic partners bent on solidifying Canada’s position as the leading global centre for innovation in the vertical lift and unmanned aerial systems (UAS) segments are Pratt & Whitney Canada, CMC Electronics, Esterline Technologies Corporation, several small and medium-sized businesses and nine Canadian universities. Through this project, Bell Helicopter and its partners are infusing more than $125 million in Canada’s aerospace industry, which includes 700 firms. The sector contributes $28 billion in GDP and supports more than 200,000 jobs. Kraken Robotic Systems Inc., a wholly owned subsidiary of TSX-listed Kraken Robotics Inc., has pre-qualified to the Build in Canada Innovation Program (BCIP) for the company’s ThunderFish 300 Autonomous Underwater Vehicle (AUV). Under BCIP, Kraken can sell its pre-qualified innovations to the federal government as its first reference sale. The company will receive feedback from federal departments on the performance of ThunderFish in an operational setting after the AUV testing. Built for military and scientific applications, the ThunderFish AUV is a marine robot for ultra high-resolution seabed imaging and mapping applications. Its uses include underwater surveys, environmental monitoring, habitat mapping, marine archaeology, inspection of submerged structures, searching for downed aircraft and naval mine countermeasures. ThunderFish possesses an array of sensors and custom payload modules, including Kraken’s AquaPix Synthetic Aperture Sonar. With a platform that can be configured to operate at depths of up to 6,000 meters, it is ideal for monitoring or surveillance tasks where cost efficiency, ease of deployment and operational simplicity are of critical importance. Rapid sensor reconfiguration and battery replacement are possible because of its modular design. Ottawa recently announced more appointees to the Canada 150 Research Chairs, a program which attracted some of the top international researchers from all over the world to consider Canada their new home or to consider coming back home. The Canada 150 research chairs competition is funded in Budget 2017 for $117.6 million. The chairs come with a seven-year term at $350,000 per year and $1 million per year. The two tiers are intended to “acknowledge the varying costs of research objectives” with the proviso that the higher amount will be awarded to candidates of “exceptional calibre”. The funds are invested through the three granting councils, and Canada Foundation for Innovation is providing another $830,000 to support the program. More than 58% of the 24 chairs announced are women and 42% are Canadian expatriates. The 24 Canada 150 Research Chairs named to date, including those announced last December, hail from Australia, Austria, New Zealand, the US, the UK, and South Africa. The complete list of chairs can be found online. The Landscape Carbon Accumulation Research (L-CARE) project of Laurentian Univ is receiving a total of $1.6 million to support its research on addressing greenhouse gas emissions (GHG) in Ontario. Of the total funds, 50% or $798,000 is from the TargetGHG program under the Ontario Green Investment Fund announced in Budget 2015. The other half will be provided by the Natural Sciences and Engineering Research Council of Canada (NSERC), a TargetGHG partner. L-CARE is a part of the TargetGHG Stream 2 Collaborative R&D Program. This stream supports industry-academic collaborative R&D projects and aims to achieve Ontario’s 2020-2030 targets for GHG emission reduction. Concentrating on the management of brownfield and other industrially-impacted landscapes, the L-CARE project will study the approaches to reclamation management as part of a carbon sequestration strategy. This is in relation to extensive hard-rock mining. The project will examine the treatment and management strategies across mine tailings environments; and the upland, wetland, and aquatic ecosystems. The L-CARE project partners are Laurentian Univ, Vale Canada Limited, Glencore’s Sudbury Integrated Nickel Operations (Sudbury INO), and the City of Greater Sudbury. Co-investigators and collaborators are McMaster Univ, Trent Univ, Queen’s Univ, Univ de Sherbrooke, and Univ du Québec à Montréal. Other collaborators are Cambridge Univ, Cornell Univ, the Ontario Ministry of Natural Resources and Forestry, and the Canadian Forest Service. TargetGHG program is administered by Ontario Centres of Excellence. Quebec’s agtech firm, Agrisoma Biosciences, Inc., has received $12 million from a new round of investors, including Desjardins Capital, a first-time investor. The company, which produces biojet fuel for the aviation industry, has recently struck deals with some global biofuel players, and the new round of funding will help them deploy their commitments and further expand the commercialization of Carinata seeds in key markets, says Cycle Capital Management, the lead investor. Another key investor in this round of funding is BDC Capital, the first and largest investor in Agrisoma and which considers Agrisoma’s biofuel as financially attractive for farmers engaged in reducing greenhouse gas (GHG) emissions. Another existing investor that participated in this round is Lune Rouge. The Carinata seeds that produce biofuel help in mitigating climate change. Agrisoma says the new funds can also help in expanding the production of the seeds in the United States, South America and Australia. Agrisoma produces the low GHG biofuel from the Carinata mustard oil. Australia’s Qantas Airlines last January flew a Boeing 787 Dreamliner from Australia to the US using biojet fuel. It was the first commercial transpacific flight to use Carinata-based biofuel. Jeff Watts and Pierre Roberge have been appointed president and chief technology officer, respectively, of Prodigy Ventures Inc., a listed innovation company and named by Deloitte as one of Canada’s fastest growing technology companies. Roberge will also serve as senior VP for solutions and ventures. Tom Beckerman remains as company CEO and director. Watts was executive VP of Prodigy before his new appointment. He has a proven track record of success in scaling technology businesses. He has more than 25 years of global experience in direct sales, channels, marketing, and business and corporate development, having worked with SAP, Xerox, 3Com, and Quack.com. He recently finished an assignment as chief revenue officer for a partner of SAP. 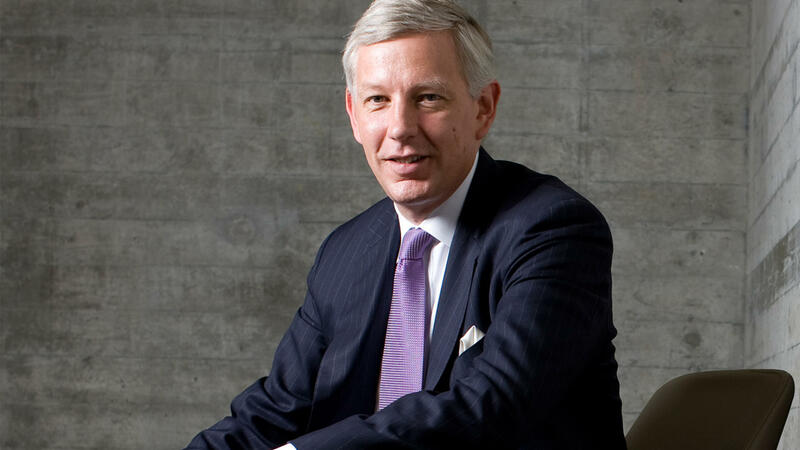 He serves on several boards, including Valucap Investments Inc., where he is CEO. Roberge has more than 20 years of experience in digital identity, digital currency, online, mobile and payment marketplaces. He co-founded SecureKey Technologies, Dexit, and Rocket Piggy. Prior to Prodigy, Roberge has engaged clients such as TD Canada Trust, the Royal Canadian Mint, Interac, EnStream, Suretap, Telus and Intel. He is a fintech advisor to the MaRS Innovation Centre. Roberge replaces Hussein Vastani, who left to pursue opportunities in artificial intelligence and machine learning. Tech skills development and a previously announced innovation commissioner were the sole STI highlights of the British Columbia Budget, which was announced February 20 and stands in stark contrast to the research and innovation-heavy federal Budget delivered a week later. In what may be well be remembered as Canada’s first truly 21st century research and innovation Budget, the Liberal government has committed to investing more than $6.4 billion in scientific research, technology and business innovation assistance. Should university mindset about innovation evolve? Canada’s innovation ranking over the past two decades has not improved, according to the latest OECD data. Let me express alarm in the situation as publicly funded research is an important contributor to innovation. The National Research Council (NRC) and its Industrial Research Assistance Program (IRAP) will receive $148 million in new funding through the 2018 federal Budget to support a “reimagined” NRC calibrated to deliver on the federal government’s Innovation and Skills Plan. A new study shows that efforts to innovate by women entrepreneurs are not being recognized because of a dominant focus on technologies. Titled Everywhere, Everyday Innovating – Women Entrepreneurs and Innovation, the report says women in Canada are innovating in all aspects of the business but are hampered by policies and programs that restrict the concept of innovation to technology and goods rather than services. The whole ecosystem is patting themselves on the back, confident that their concerted efforts to lobby behind the Naylor report recommendations — foremost of which was an increase in budget – did not fall on deaf ears. RE$EARCH MONEY offers excerpts of what the ecosystem has to say about the federal budget. Alberta Enterprise Corporation, the provincial government’s independent fund of funds manager, has invested $5 million in Panache Ventures’ new Canadian seed fund. This investment comes after Panache Ventures recently closed up to $25 million in deals, and the company is keen to support more seed-stage startups across Canada. Panache Ventures is led by former startup operators and angel investors who are well entrenched in the local ecosystem. Managing partner Patrick Lor is based in Calgary while managing partner Mike Cegelski and partner David Dufresne are from Montreal. The firm is looking to invest in companies innovating in emerging technologies, such as artificial intelligence, cybersecurity, and blockchain, as well as virtual reality, enterprise SaaS (software as a service), and data analytics. Panache Ventures said it is already studying several deals with the hope of developing a large-scale portfolio of seed-stage companies across the country. With a target fund size of $40 million, Panache Ventures plans to invest in about 140 startups over the next four years. For Panache, Calgary is a focal hub for its operations in the west where they see a vibrant and growing technology ecosystem ripe for investment opportunities. Alberta Enterprise Corporation finds Panache’s focus on early-stage funding to be a good fit to the company’s goal of providing access to capital to young companies through fund managers. InnoCité MTL, Montreal’s accelerator for smart cities, has merged with incubator Centech to combine their services and help more startups. The two organizations say the combination will put under one roof the best experts in smart cities development. InnoCité MTL is an initiative of the city of Montreal while Centech is a technology incubator created by École de Technologie Supérieure (ETS), one of Canada’s largest engineering schools. With the merger, InnoCité MTL will be added to Centech’s 10 ÉTS Open Innovation Cells as a smart city innovation cell. These innovation cells, measuring 56 m2 and located in Montreal’s Quartier de l’innovation (QI), allow collaboration among young companies, students, researchers and research chair holders for private-public sector partnerships. India’s Tech Mahindra will invest $100 million over the next five years to create a new Centre of Excellence (COE) in Canada for major emerging technologies, such as artificial intelligence and Blockchain. The Indian technology powerhouse made the announcement during Canadian prime minister Justin Trudeau’s visit to India in February. Tech Mahindra said the COE, to be based in Toronto, will facilitate access to cutting-edge technology for Canadians and Indians. It is also expected to create a pool of niche talent and generate high value-added employment in next-gen technology sectors. These results will be achieved through strong linkages and close cooperation by the envisioned COE with leading academic institutes, innovators and accelerators in the startup ecosystem, like the Vector Institute in Toronto. Five projects in the Quebec City area have received funding to help companies and organizations move forward with their innovative projects. More than $831,000 in federal financial assistance are available through Canada Economic Development for Quebec Regions (CED) with almost $480,000 being repayable. The fund recipients are the Centre en imagerie numérique et médias interactifs (CIMMI), the Corporation Inno-centre du Québec, Industries Chronox, LynX Inspection and Viagénie. These five will be helping other organizations and companies — like startups and small and mid-sized enterprises — with mentoring, consulting services, equipment and systems purchase, technology transfer and prototyping, app development, and other innovative solutions. The government funds are expected to create 11 permanent jobs in the region and generate up to $2.5 million in investments. The projects are also expected to improve business productivity and help communities. Insurer Great-West Life Assurance Company is investing $300,000 over three years in Univ of Toronto’s Creative Destruction Lab (CDL) – Toronto, a seed-stage program located in the university’s Rotman School of Management. The nine-month program helps technology startups to scale up by providing entrepreneurs with mentorship, development support and guidance in looking for capital from venture capital firms. There are currently more than 100 companies in CDL-Toronto this year, and they recently had intensive sessions where they met with mentors, investors, corporate sponsors and successful entrepreneurs. Great-West Life’s parent firm, Great-West Lifeco, has interests in a joint venture investment in Portag3 Venture, which supports promising fintech companies in Canada and beyond. CDL-Toronto’s graduating ventures last year raised more than $46 million. Other CDLs are located in British Columbia, Calgary, Quebec, Nova Scotia, and a new one is scheduled to open in New York this year. Toronto-based app developer Maple Corporation has received up to $4 million in series-A funding to grow and expand its business. Maple, which gives patients a 24/7 on-demand access to doctors, raised the additional funds with the help of a large private corporation specializing in medical cost containment and operations, and Jeff Fettes, co-founder and CEO of 24-7 Intouch, a contact centre headquartered in Winnipeg, MB. Ontario’s MaRS Investment Accelerator Fund, which focuses on fledgling technology firms, joined the investors in raising the oversubscribed fund. Operating for more than a year, the Maple platform covers eight provinces and two territories. The network has accommodated close to 20,000 patients and more than 100 Canadian doctors. The on-demand access to doctors for advice, diagnosis, and prescriptions is accomplished via secure text or video. Maple says the live chat or video is guaranteed only five minutes of wait time, cutting time for physician’s visits and patient’s recovery. Maple says the new funds will be used to serve as many Canadians as possible by building a distribution network of employers, benefit providers and insurers. One of Maple’s partners is Sun Life Financial, which makes virtual healthcare accessible to its clients. Dr Kevin Smith will join the University Health Network (UHN) as president and CEO effective May 22. Known for his contribution to the healthcare systems at the national and provincial level, Smith is currently president and CEO of St. Joseph’s Health System in Hamilton and CEO of Niagara Health System. Smith is also serving as chair of the board of the Canada Foundation for Innovation, chair of the Council of Academic Hospitals of Ontario, a member of the Premier’s Health Results Table and special advisor to the Office of the Chief Health Innovation Strategist and a special advisor to the minister of Health and Long-Term Care. Previously, he served as chair of the Ontario Hospital Association and of the board of Home Capital. Smith has been a member of the boards of The Change Foundation, the United Way of Burlington and the Association of Canadian Academic Health Organizations. Smith is also a professor in the Department of Medicine, Michael G. DeGroote School of Medicine at McMaster Univ and holds a PhD from the Univ of Sussex in England. A lifelong learner, he also took leadership courses at Harvard Univ, Wharton School of Business – CEO Leadership Program, and the Rotman School of Business’ Director’s Education Program. Dr Eric Hoskins, former Ontario minister of health and long-term care and member of provincial parliament for St. Paul’s, Toronto, has been named head of the newly created Advisory Council on the Implementation of National Pharmacare. When the federal budget was released on February 27, Finance minister Bill Morneau announced the creation of the council and the appointment of Hoskins, a day after Hoskins announced his resignation from Queen’s Park. Reporting to the federal minister of health and Morneau, the council has been tasked to study the economic and social impact of domestic and international pharmacare models. Hoskins and his team will work with experts in the field as well holding dialogs with national, provincial, territorial and Indigenous leaders. Hoskins is a medical doctor and member of the Order of Canada. He represented the provincial riding of St. Paul’s from 2009 up to recently and served in the cabinet of premier Dalton McGuinty and his successor, Kathleen Wynne.